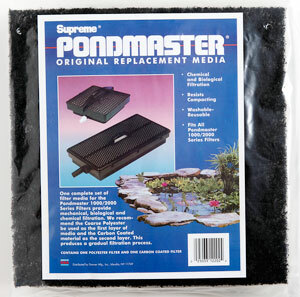 One complete set of filter media for the Pondmaster 1000/2000 Series Filters provide mechanical, biological and chemical filtration. We recommend the Coarse Polyester be used as the first layer of media and the Carbon Coated material as the second layer. This produces a gradual filtration processes.